(Austin, Texas - July 9, 2010) - At its July 7 meeting, the Texas Racing Commission approved Retama Park's request to reduce its upcoming Thoroughbred meet from 30 nights of racing to 16, racing on Fridays and Saturdays between September 3 and October 23. 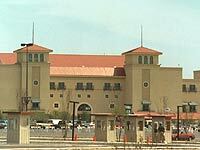 Retama was originally scheduled to race from August 27 through November. 6. Also at the meeting, Howard Phillips of Manor Downs announced that his track near Austin, Texas will not be applying for race dates for 2011 and will be ceasing operation on July 25, 2010.